All The Live Long Day: Ah, Oven Mitts! Do you sew? I have been learning to, and so far my projects have been on the smaller scale. But do you know that immense pleased-with-yourself feeling that you get when you finish off and whatever you're making don't look too bad? I felt pleased with myself after I made these oven gloves. They were a birthday present for my friend Christina. They looked a bit wonky. One was bigger than the other. And I realize the two checked fabric scraps I used for binding where not quite the same. 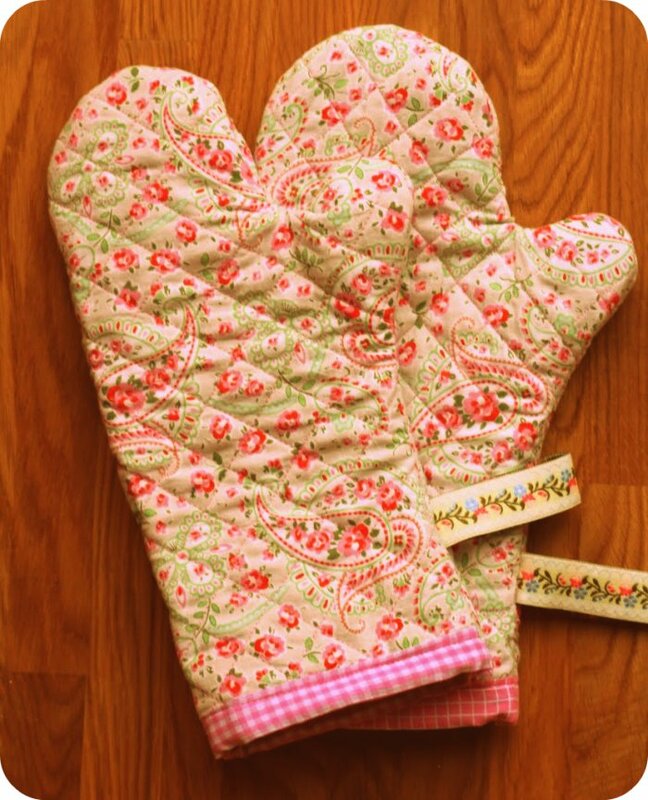 But I did not know that I could make my own oven mitts, and finding out I could was very, very gratifying. To make the mitts, I used this tutorial from Liberty, with a oven glove pattern that I found here. Instead of using store bought wadding, I followed this lady's advice and recycled an old towel. This was a pretty straightforward project, and it only took me one evening. The most tedious thing about it all was the quilting. To mark the lines, I had used one of those fabric marker pens that vanish by themselves after a while. My pen chose to start vanishing after about 10 minutes, so the lines were very faint by the time I started sewing over them... Does anybody have any idea what might work better? Christina, I hope you love your gift for its homemade qualities! These look great!! I had a go at making some after buying some from a shop that were rubbish & thin & my hands got burned :-( Mine do the job much better! I love making things that have a great practical purpose! They look great! I know the self satisfied feeling well, I still get it after every single pouch I sew! Happy sewing! those look AMAZING. you have skills girl! 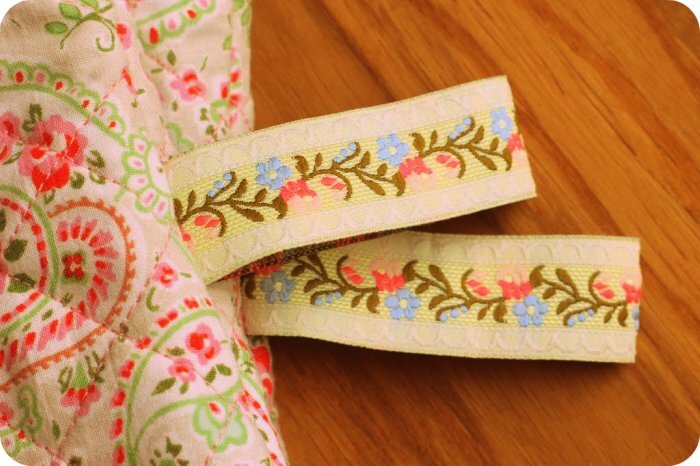 love the ribbon tags off the side. and the quilting. and the fabric. good job!! 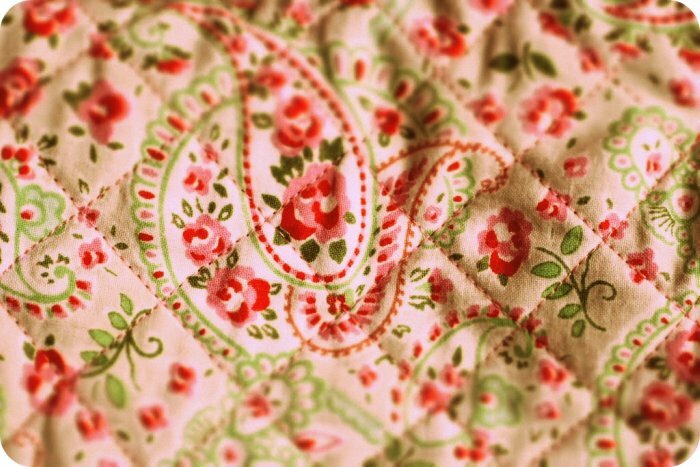 I have never quilted anything but I do like to sew! Wow - they look brilliant! You might want to stop posting pictures here though, as you'll start getting orders for more! I have to try to make these! I have been wanting to try quilting and I think an actual quilt might be a bit over ambitious. So cute! These are amazing! So creative! I found that my oven gloves have a hole in them this week so I'm on the look out for a new pair...maybe I should make some!